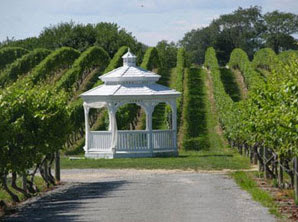 Many jet setters are unaware that the North Fork of Long Island in New York is considered Wine Country (basically our own version of California's Napa Valley or Santa Barbara's Wine Country but in New York). In fact, there are more than 30 wineries to choose from, each with its own personality. 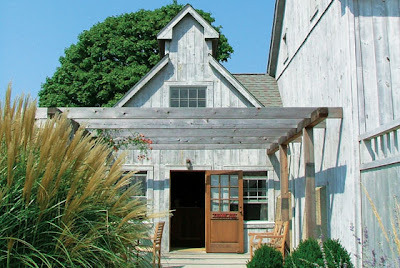 Here's a list of the wineries I visited over the July 4th Holiday weekend out on the North Fork, and a little about what I thought of each of them. My two favorites were McCall and One Woman. Shinn was also very cool, but more for its indoor space than outdoor which is a waste if you get a nice day. I like Bedell (and its related property Corey Creek). The one to stay away from on this list, in my mind, would be Raphael as it's too corporate. 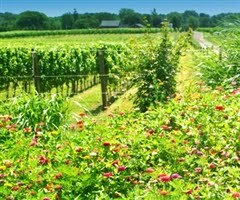 I hope to visit more of them in the near future...so stay tuned for Jet Set Smart's next North Fork Wineries List. 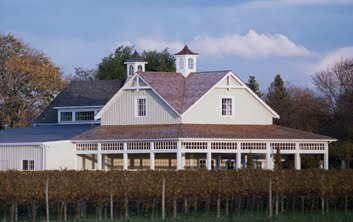 1- Shinn Estate Vineyards: This place has good wines and a nice laid back feel. It's located on Oregon Road which is a pretty road, and is not on one of the two main roads on the North Fork, so I feel like it's more secluded. Tasting hours are Monday-Sunday 12pm-5pm. 2- Raphael: The setting here is as if you are in an old Italian villa in Tuscany. It's beautiful and is considered (by many of the locals) to be one of the best tasting rooms on Long Island. They have very good quality wine at a reasonable price. Tasting hours are Sunday-Friday 11am-5pm; Saturday by appointment only. 3- Bedell Cellars: Bedell has a huge outdoor deck complete with a tasting bar and a great view of the vineyards. The inside is decorated in a modern style with some interesting art. If it's a nice day, I'd highly recommend grabbing a seat outside, grabbing a bottle, and just enjoying the setting. Tasting hours are Monday-Sunday 11am-5pm. 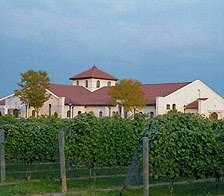 4- Corey Creek Vineyards: This is the sister vineyard of Bedell at only a fraction of the size. The view from the porch at Corey Creek is one of the best on the North Fork. The rows of vines seem to extend endlessly. The tasting room itself is fairly... should I say "intimate"? While Corey Creek doesn't lend itself well to large parties (buses are not allowed), I'd definitely recommend it for smaller parties or couples. Tasting hours are Monday-Thursday 11am-5pm, and Friday and Saturday 11am-6pm. 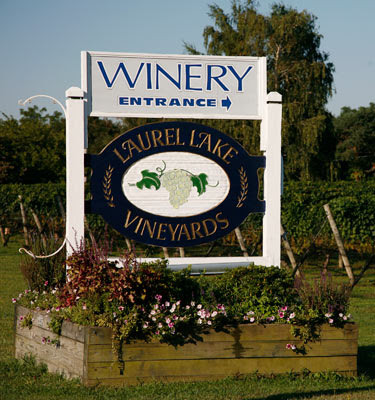 5- Laurel Lake Vineyards: This is a must stop on your wine tour. It is a very small place and not on the very fancy side but the wine speaks for it's self, plus the two outside decks face right out onto the vineyards. Tasting hours are Monday-Sunday 11am-6pm. 6- Pellegrini Winery: I would say this winery was okay. Most of the sitting area is in a large patio area that's pretty much enclosed by the tasting room building. There are only a handful of tables that actually taste the vineyards. As for the wine itself, nothing to rave about. Tasting hours are Monday through Saturday 11am-5pm. 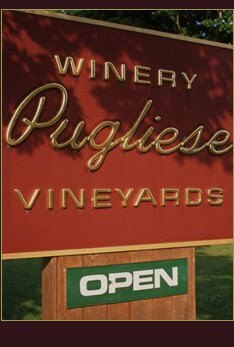 7- Pugliese Vineyards: Pronounced (pull-yay-zee). The scenery here is nice, you can sit outside and look out onto a pond filled with koi fish while you are sipping your wine. We enjoyed a nice bottle of Sparkling Merlot, something I've never had before, and it was refreshing and light. Tasting hours are Monday through Sunday 10am-5pm. 8- One Woman: This winery has only been open for a little over a year. It is a winery and vineyard run by one woman and her daughter. It's definitely rustic and beautiful, and the wines are fantastic. Tasting hours are Friday through Monday 12pm-6pm. 9- McCall Vineyards: This is also a new winery; their tasting room (set in a beautifully restored barn) just opened in May of this year. They only have three wines so far and they are all very good.